We discuss how to find genuine data entry jobs over the Internet. If you have done a search for data entry jobs on the Internet under "data entry work at home", you will have seen the myriad of choices that pop up--everything from virtual assistant positions to data entry scams. It is good to know how to determine if a job offered is a scam so that you are not taken advantage of. 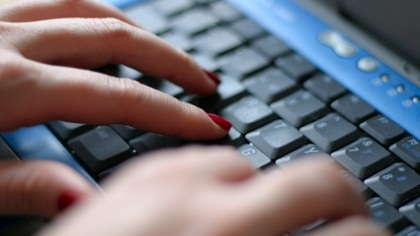 There are genuine data entry jobs that are offered over the Internet. Many are offered by well-known businesses that need information transferred from several documents into one document. They search out intelligent people who can type fast and usually don't mind if they work at home (because that would save the company money facility costs). These jobs can be found through online job providers who provide a search program in which applicants can find full or part time positions available (in a field that they meet the requirements for). Also, check out job boards for any local or online listings, or look on sites of specific companies for whom you would like to work. Many of these jobs are real, and if you are willing to put in a lot of time, you would be able to make a good amount of money. However, in looking for these jobs, you should remain cautious, as there are several scams of which to be aware. Advertise yourself online under job postings to attract new clients. If you are interested in billing entry, contact local hospitals, medical clinics or law offices. Many offices look for people who will do data entry for billing. You may have to take a class or two at an online or local college before getting hired with some offices. In most towns, there are companies who would be willing to telecommute with you for data entry positions, so check your newspaper as well as job postings around town. Advertise yourself in your local newspaper or on a job board as someone who would like to do data entry from home. Never pay an employer to work for them. Many online scams promise that if you pay a monthly fee to them, they will provide you with enough data entry to make you rich. Many, if not all, of these sites are scams and you should avoid "working" for them. If you are qualified for the work, than an employer will hire you without you having to pay anything out of pocket for a monthly or even a "one time fee." If an employer insists upon paying you through direct deposit or paypal, use extreme caution. If you have never done any work for this company or have not met and interviewed them in person do not assume that it is a real job. In most states, the law requires businesses to give more than one option of payment to employees, and if the business is legitimate, they should be quite happy to pay you by check. Any job that promises you that you will make a lot of money in a short amount of time should be researched. Though there are jobs out there that will make you money, most jobs start out slowly and you will only start earning a lot once you have a lot of experience. If you are unsure if a company is legitimate, ask them for references. See if they will give you a list of employees that have already worked for them. Call or write them personally to see if the business is working out for them. Do not buy "kits" to get you started. If you have a computer, a fax machine, a scanner and a home line, there should be nothing else that you should have to purchase. A legitimate employer will give you work and pay you for work, not the other way around. Don't give up if you can't find a valid data entry job right away. They are out there and you will find one, but make sure that they are legitimate before applying to them.